Hello Friends and Allies of CFJ! 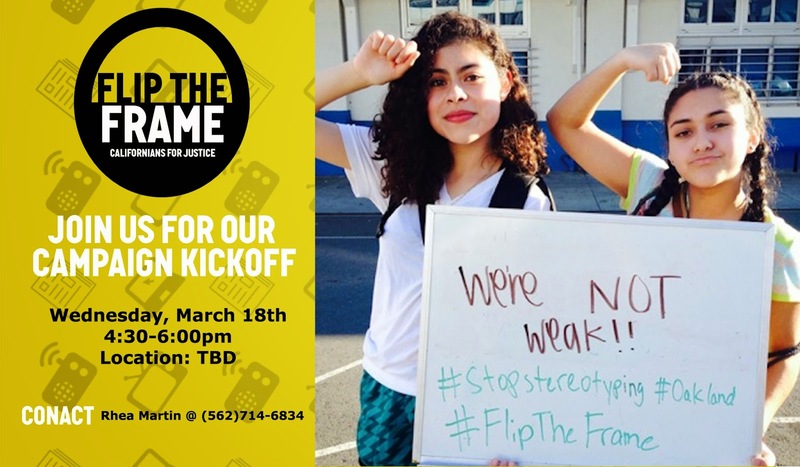 Please save the date March 18th to support our young people as we hold our Flip the Frame Campaign Event. Prepare yourselves, your youth, and the parents you work with for incredibly powerful spoken word pieces, and a transformative dialogue discussing the way in which our society perceives young people of color. Check out our flyer, share with others, and stay tuned for more details. Join CFJ and the Student Voice Campaign and tell the State Board of Education that #StudentVoiceMatters! Watch...then Donate! $60 sends one more student to the capitol to tell their story.